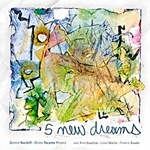 On Magic Numbers, Canadian saxophonist Quinsin Nachoff debuts an ensemble that delivers on the promise originally offered by the Third Stream. 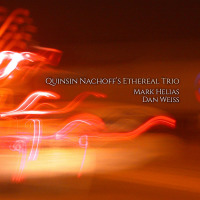 Combining a free-wheeling, improvisational saxophone trio and a rigidly regimented but highly creative neo-classical string quartet, Nachoff has found an equitable way to integrate the best elements of both worlds. 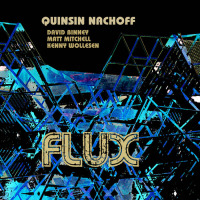 Nachoff's compositions are lush but labyrinthine. Interwoven string parts commingle with a rhythm section of astonishing dexterity for a dynamic session that veers from hushed whispers to an almost rock-like intensity. 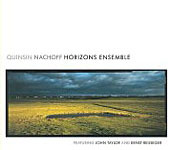 As a soloist, Nachoff has a burnished, refined tone. His nuanced, breathy timbre is laced with an understated intensity akin to Joe Lovano or Joe Henderson. Bassist Mark Helias acts as a tether between the string quartet and the trio, while Jim Black's idiosyncratic, funky drumming pushes the ensemble into unexplored realms. At its most rhythmic, Nachoff's string writing seems custom designed to interlock with Black's sense of mercurial timing. The string quartet has a solid solo voice in leader Nathalie Bonin's violin, and no member ever sounds like a mere chart reader. Nachoff's intricate writing never strays far from melody. The opener, "There and Back," has an insinuatingly catchy theme, with a funky undercurrent that the group uses as a springboard for endless rhythmic variations, supporting the leader's sinewy soprano. Nachoff's romantic streak comes to the fore in "October," a wistful ballad that traffics in similar territory as the swirling melody of "Circles and Waves." "How Post-Modern of Me" embodies all the characteristics its title suggests. Jump-cuts, tricky rhythm changes, and a protean aesthetic are all on display. Nachoff doesn't allow the divergent sources of inspiration to devolve into academic whimsy. Jim Black's pummeling trap set invokes Sabbath and Zeppelinand the string quartet's quicksilver Jekyll and Hyde transformation from folksy plucking to hardscrabble skronkconjur Stravinsky and Bartok respectively, but heard together, these elements sound seamless. 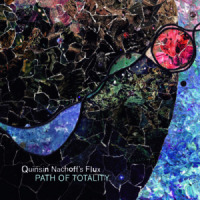 Nachoff's compositions embody a sense of varied dynamics that is nothing short of masterful. There are moments when the string quartet rests while the trio forges ahead. On others, such as "Whorls," the rhythm section sits the piece out, letting the leader weave his soprano through a nuanced web woven by the string quartet. With the full group his meticulous attention to detail blossoms. On "Branches," Black unleashes his patented acoustic drum-n-bass thrashings, the throttling strings strain to keep up, only to dissolve into barely audible harmonics and arco effects. "Sun-Day" closes the album definitively with a suite-like structure. It travels from pensive whispers to sonorous harmonies, bolstered by a mid-tempo groove. An unaccompanied string quartet curtails a pulverizing drum solo, only to yield to a frenzied duet between Black's polyrhythmic assault and the leader's impassioned multiphonic tenor. The composition concludes far from its origins. No longer invoking the saccharine compromise of crossover accessibility, improvising jazz units augmented with strings are leading the forefront of new music collaboration. 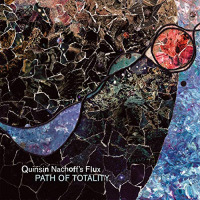 Quinsin Nachoff may be a relative unknown, but Magic Numbers should change all that. Track Listing: There & Back; To Solar Piazza; How Postmodern of Me; October; Branches; Circles & Waves; Whorls; Sun-Day.